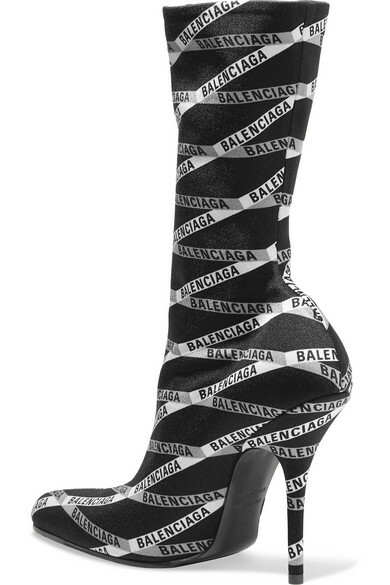 Even without the all-over logo print, there'd be no mistaking Balenciaga's now-iconic sock boots. 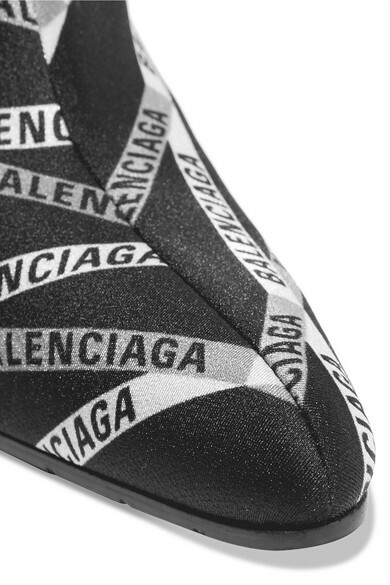 Mounted on steep 110mm heels, they've been crafted in Italy from spandex which hugs the foot and have exaggerated tapered round toes. They'll look great with everything from midi skirts to wide-leg jeans. Shown here with: Balenciaga Top, Balenciaga Skirt, Balenciaga Jacket, Balenciaga Shoulder Bag.